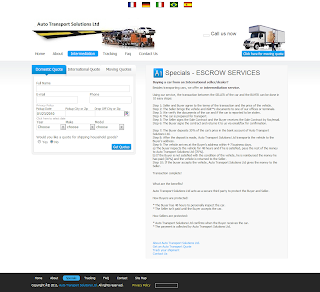 Auto Transport Solutions Ltd is a fake shipping and escrow company. Buying a car from an International seller/dealer? Besides transporting cars, we offer an intermediation service. Step 1: Seller and Buyer agree to the terms of the transaction and the price of the vehicle. Step 2: The Seller brings the vehicle and itâ€™s documents to one of our offices or terminals. Step 3: We verify the documents of the car and if the car is reported to be stolen. Step 4: The car is prepared for transport. Step 5: The Seller signs the Sale Contract and the Buyer receives the Sale Contract by fax/email. Step 6: The Buyer signs the contract and returns it to us via email/fax for confirmation. Step 7: The Buyer deposits 30% of the car's price in the bank account of Auto Transport Solutions Ltd. Step 8: After the deposit is made, Auto Transport Solutions Ltd transports the vehicle to the Buyer's address. Step 9: The vehicle arrives at the Buyer's address within 4-7 business days. a) The buyer inspects the vehicle for 48 hours and if he is satisfied, pays the rest of the money to Auto Transport Solutions Ltd (70%). b) If the Buyer is not satisfied with the condition of the vehicle, he is reimbursed the money he has paid (30%) and the vehicle is returned to the Seller. Step 10: If the buyer accepts the vehicle, Auto Transport Solutions Ltd gives the money to the Seller. 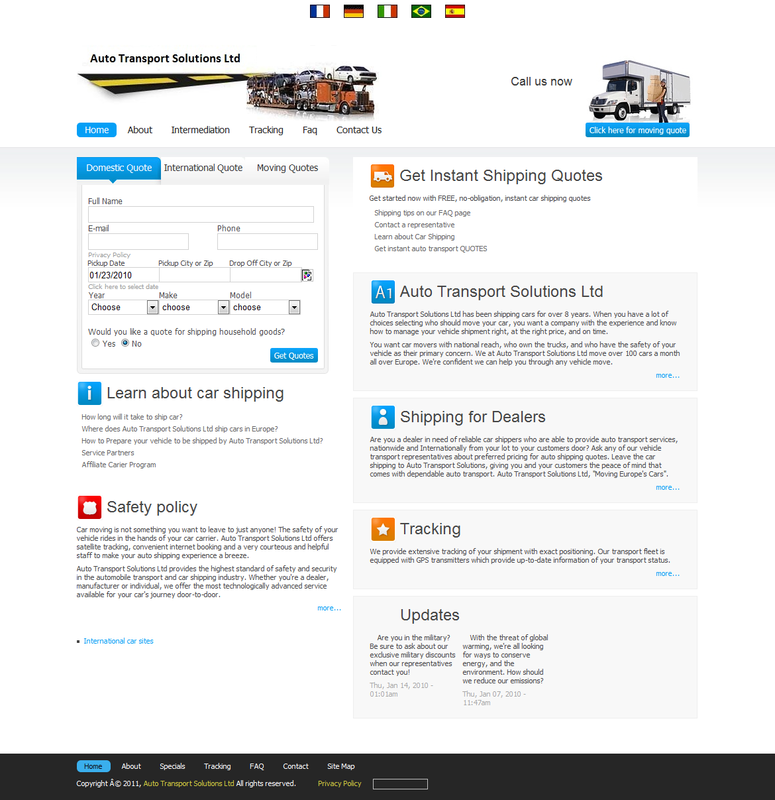 Auto Transport Solutions Ltd acts as a secure third party to protect the Buyer and Seller. * The Buyer has 48 hours to personally inspect the car. * The Seller isn't paid until the Buyer accepts the car. 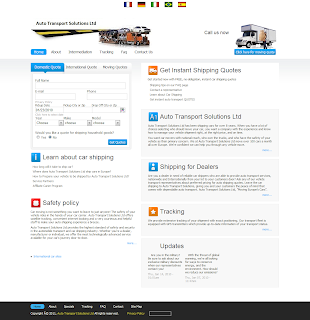 * Auto Transport Solutions Ltd confirms when the Buyer receives the car. 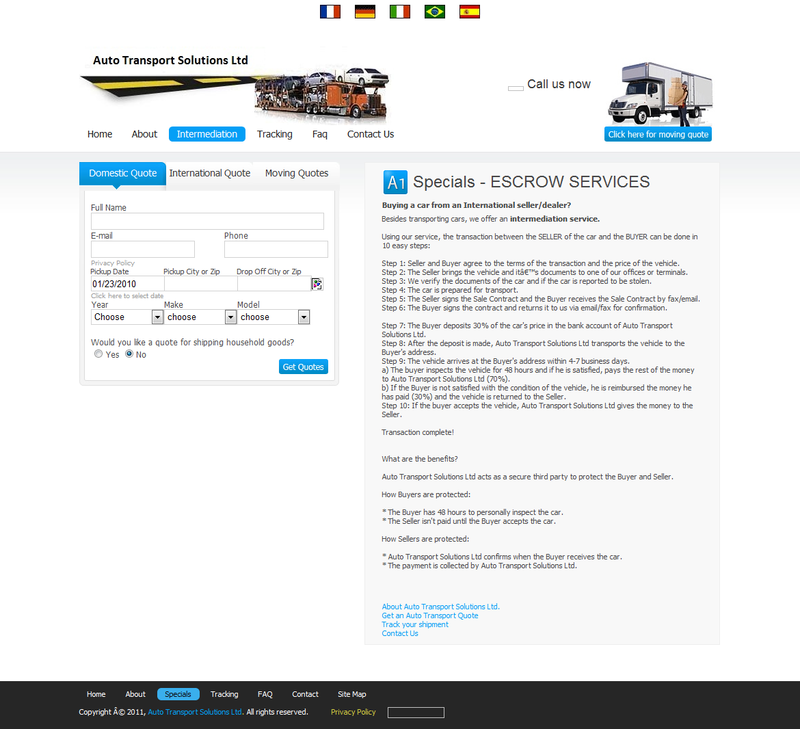 * The payment is collected by Auto Transport Solutions Ltd.
network of more than 40 terminal facilities throughout Europe. personnel, private corporations, moving & relocation companies, and numerous car dealers nationwide. of customer service and satisfaction to make your auto move worry free.